ACTION ALERT: Stop the Gutting of California's THP Process. Oppose SB 901/AB 425. Faced with the worst summer fire season in 10 years, Gov. 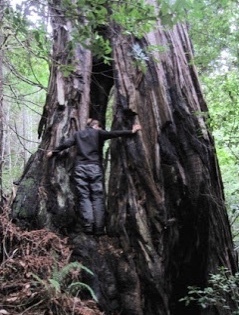 Jerry Brown is proposing broad new changes to California’s logging rules that would allow landowners to cut larger trees and build temporary roads without obtaining a permit (THP) as a way to thin more forests across the state. The proposal — which has the support of the timber industry but is being opposed by more than a dozen environmental groups — would represent one of the most significant changes to the state’s timber harvesting (THP) rules in 45 years. SB 901/AB 425 would allow trees to be removed from 300-acre plots without the benefits of timber harvest (THP) planning process. SB 901/AB 425 would increase the legally allowed diameter of trees that can be removed without triggering a timber harvest plan requirement. The diameter size will increase from the current 26 to 32 inches in logged areas and up to 36 inches in roadway construction areas. SB 901/AB 425 would allow up to 600-foot long roads to be cut through forested areas with little to no oversight. This language essentially allows 600-foot-long clearcuts throughout California’s forests without the benefit of agency oversight. SB 901/AB 425 would lead to widespread biomass burning and increased air pollution. PLEASE CALL your state senator and assembly member and ask them to oppose AB 425 and SB 901. 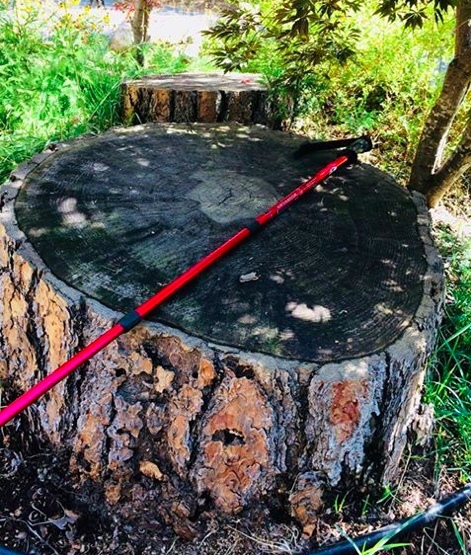 California already has an existing Timber Harvest Plan (THP) plan process where landowners and individuals can harvest trees utilizing the Forest Practices Act, so changes are not needed. Go to http://findyourrep.legislature.ca.gov/ and enter your address to contact your state assembly member and state senator. 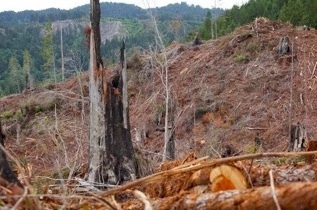 Sierra Pacific Industries to clearcut log SW of Whiskeytown, CA. 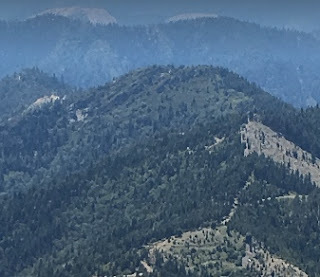 This THP is about 8 miles SW of Whiskeytown, CA, 10 miles SE of Douglas City, CA and about 4 miles south of Highway 299 at an elevation of 3,000 to 5,500 feet. 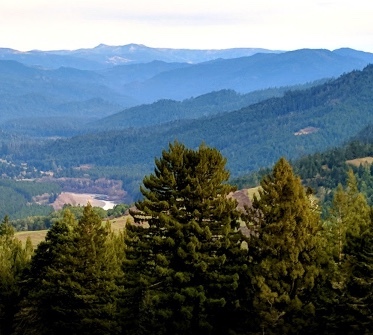 Sierra Pacific Industries is planning a clearcut tractor and cable logging operation in Douglas fir, ponderosa pine, incense cedar, white fir and sugar pine forests. The THP area flows into the Trinity River which is listed as an impaired watershed for sediment. SPI is planning to use ground based equipment in areas designated for cable logging, and construct and use crossings, landings and roads during the winter period. Blushing wild buckwheat was found along an open rocky ridge in unit 32D, California lady’s slipper was found along a seep and road near unit 32D, and Heckner’s Lewisia was found along open rocky outcroppings and rocky soil in and around unit 32D. There are 2 spotted owl nesting territories within 1.3 miles of the THP area. 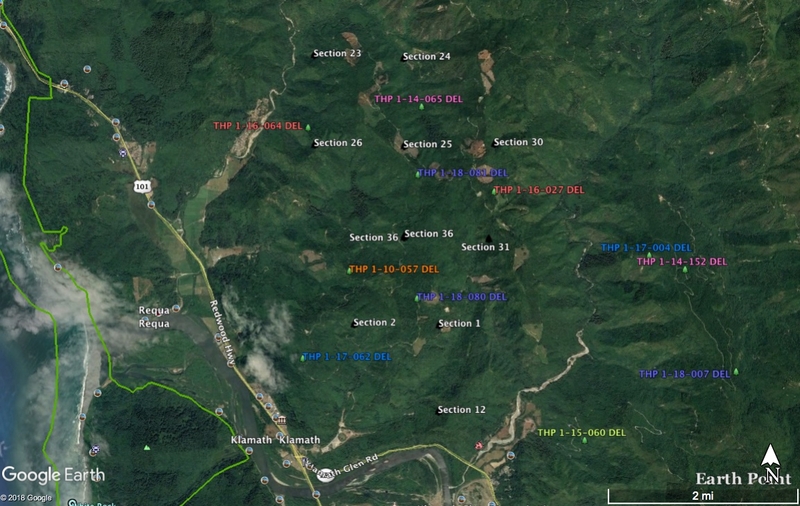 Green Diamond Resource Company planning a pair of clearcut THPs NE of Klamath, CA and the Klamath River. This THP is just NE of the town of Klamath, CA and the Klamath River at an elevation of 400 to 2,000 feet. 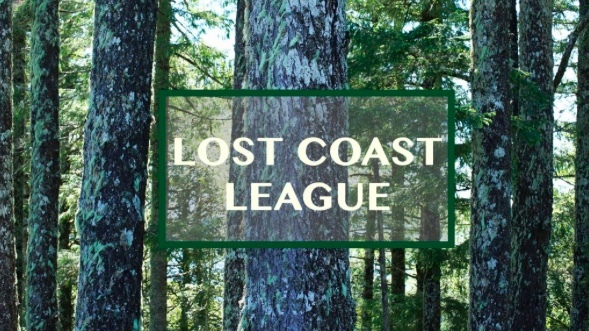 Green Diamond Resource Company is planning a tractor and cable logging operation in redwood, Douglas fir, grand fir, western hemlock and Sitka spruce forests. The THP area flows into the Lower Klamath River watershed which is listed as an impaired watershed for sediment, temperature, dissolved oxygen and nutrients. 16 road drainage sites are planned for work including rocking, dip construction, ditch cleaning and culvert repair/replacement. 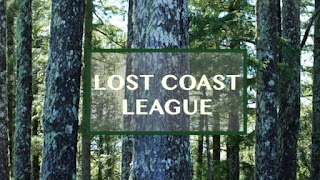 The T 10 marbled murrelet stand is within .25 miles of unit F, the T10 Road and T100 Road, and the Big Mynot marbled murrelet stand is within .25 miles of the T10 Road. Three osprey nests are located within .25 miles of the T10 Road, southern torrent salamanders were reported 100 feet west of unit F, and coastal tailed frogs were reported 3,500 feet south of unit F. In 1990, a Del Norte salamander was reported in unit C, and foothill yellow legged frogs were found 1.5 miles south of unit H along the Klamath River. There are 4 spotted owl nesting territories within 1.3 miles of the THP area. 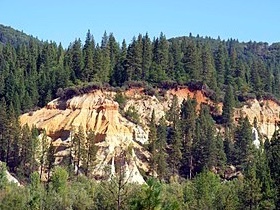 This THP is a few miles NE of the town of Klamath, CA and the Klamath River at an elevation of 200 to 2,000 feet. Green Diamond Resource Company is planning a mostly clearcut tractor and cable logging operation on steep and unstable slopes in redwood, Douglas fir, grand fir, western hemlock and Sitka spruce forests. The THP area flows into the Lower Klamath River watershed which is listed as an impaired watershed for sediment, temperature, dissolved oxygen and nutrients. There is a large deep seated landslide terrain site in unit I, and a steep headwall swale along the northern portion of unit E. Green Diamond Resource Company is planning to construct two segments of roads over 300 feet within 100 feet of a class II (mid sized) watercourse area in unit C. Four marbled murrelet stands are located within the THP area including: the “East Fork Hunter” marbled murrelet stand within .25 miles of units D and E, the T10 Road, T400.59R Road, and T400 Road, the “T10 Shop” marbled murrelet stand within .25 miles of the T10 Road, the “Big Mynot” marbled murrelet stand within .25 miles of the T10 and T200 Roads, and the “Pisgah View” marbled murrelet stand within .25 miles of the Mynot Creek Road. There are 3 osprey nests within .25 miles of the T10 Road, foothill yellow legged frogs are known to occur at Turwar Creek 4,000 feet east of unit H, and southern torrent salamanders and coastal tailed frogs are known to occur within or immediately adjacent to unit I. 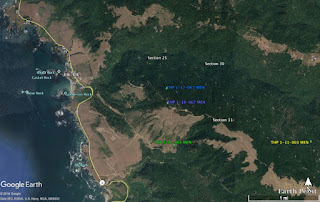 Spotted owl nesting territories are located within .25 miles of unit E, and within .5 miles of units A, B, C, D, F, G and I.
Humboldt Redwood Company to log on steep and unstable slopes SW of Scotia, CA. This THP is about 3 miles SW of Scotia, CA and Highway 101 at an elevation of 830 to 1,920 feet. 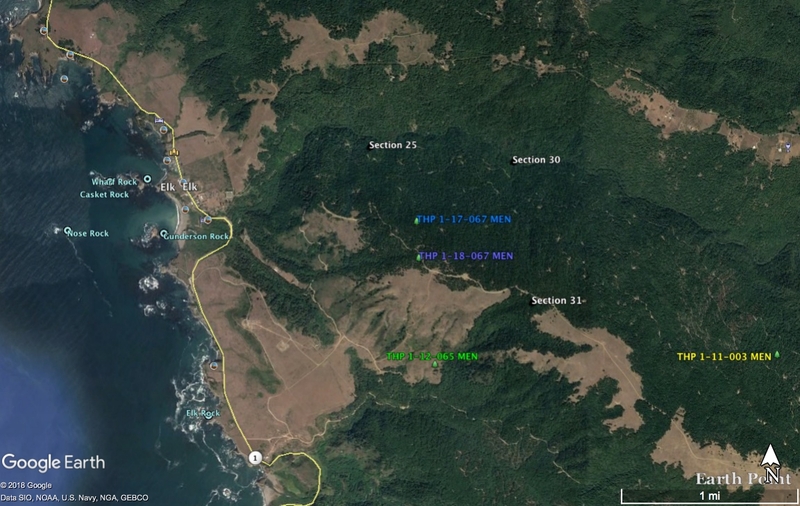 Humboldt Redwood Company is planning a tractor and cable logging operation on steep and unstable slopes in redwood, Douglas fir and grand fir forests. The THP area flows into the Eel River which is listed as an impaired watershed for sediment and temperature. There are 28 landslide terrain sites including multiple debris slides, earth flows, debris slide slopes, debris flow torrents, disrupted ground, steep inner gorges, gullying, and multiple road related fill slope and cut bank failures. Humboldt Redwood Company is planning to use ground based equipment in areas designated for cable logging on existing skid trails, and use an existing skid road inside a class II (mid sized) watercourse area in the NE corner of unit one. 27 road drainage sites are planned for work including rocking, dip construction, ditch cleaning and culvert repair/replacement. There are six spotted owl nesting territories within 1.3 miles of the THP area.